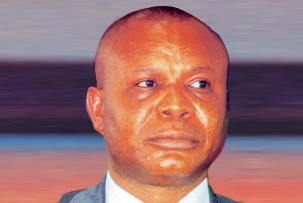 Former Chief of Staff to then Governor Ikedi Ohakim, Chief Cosmas Iwu, has emerged the Director General of Senator Hope Uzodima's 2019 governorship campaign on the platform of the All Progressives Congress, APC, Imo state. The appointment which was announced Monday, by the ranking senator's campaign organization, also had Barr C.O.C Akolisa appointed secretary of the campaign council. Other appointments as disclosed at senator Uzodinma's Campaign House in Owerri include Mrs Ifeoma Ndukwu who emerged Orlu Zonal Woman Leader, Ichie Best Mbanaso and Chief Val Mbamara appointed to serve as the Zonal Information Directors. Also, Chief cCanice Nwachukwu was appointed the campaign chairman of Orlu Local Government Area. Senator Uzodinma's Campaign Structure (Camp Hope) hinted that it has by the appointments assembled a formidable team that is fit to handle and drive the system for the forthcoming governorship for APC in Imo state come 2019. Meanwhile there are strong indications that a state caretaker committee may be coming soon for APC in Imo State.